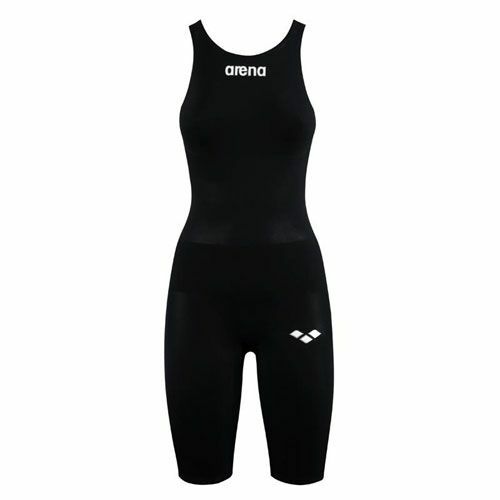 Arena Ladies Powerskin R Evo Open Back KneeSkin is the first racing swimsuit based on a revolutionary construction. The suit is made from a single piece of fabric to minimize the number of seams. 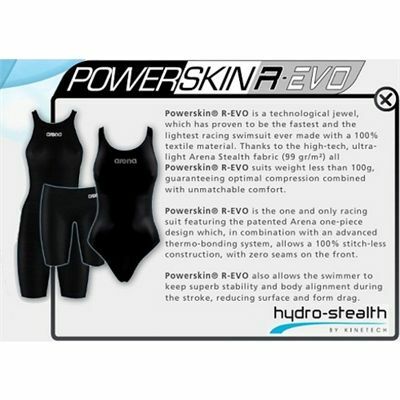 Thanks to no stitched seams and the incredibly light fabric the Powerskin R Evolution has up to 20% lower drag and can make an 0.54 second difference in a 50 metre free style race. for submitting product review about Arena Ladies Powerskin R Evo Open Back KneeSkin.